Printed Matter by Jeremy Lundquist. Photographs and Drawings by Regan Golden. 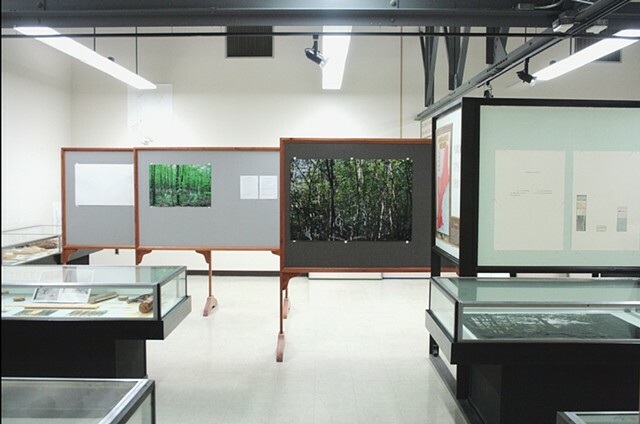 Found materials, display boards and vitrines are part of the Fisher Museum and the archive of The Harvard Forest. Installation View, "We've been to this site."